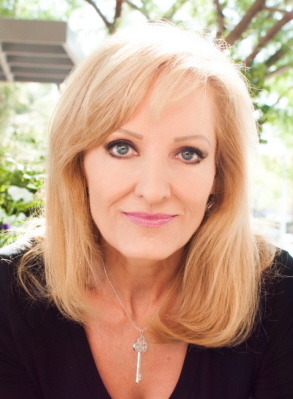 "The SECRETS of the KEYS" is the highly-anticipated prequel to Jay's first film, "The KEEPER of the KEYS"
Jay, who is also President of the Las Vegas Convention Speakers Bureau, shares why appearing in one of her films is a fast track for speakers and professionals looking to define themselves as experts. "The ONE question I hear from speakers, authors, consultants and coaches is 'How can I increase my revenue, connect with more clients, and make more money?'" Jay advises, "It's up to each expert to 'set themselves on fire' which, in this industry, means having the latest best-selling book, being seen and heard on television and radio interviews, and marketing themselves aggressively so they will stand out in a highly competitive industry of experts. Appearing in a quality film with internationally-recognized and respected experts is the fastest, easiest, and most affordable way for anyone to elevate their stature in their industry." Jay, who often coaches experts to success, says, "Most speakers release a new book every few years and, if all goes well, that can help them to distinguish themselves from countless other experts who speak on the same topic or work in the same field. Today, however, books are great but having outstanding video is now a critical partt of any experts marketing mix. Unfortunately for most experts, the expense involved in making a film with a high production value means very few experts can afford to produce a film of their own. In fact, one speaker I know spent more than $50,000 recording himself during an 'Ultimate Challenge.' That was before editing and without much of storyline (other than gettiing through the challenge.) Today, he is sitting on raw footage that he can't sell unless he's willing to spend at least that much again for editing. "I'm able to offer a unique opportunity to just a few experts who want to share their message in a fun, engaging, and empowering film for a fraction of what it would cost them to produce their own film. And, the best part is that in my film, they will get to appear along side of some of today's most outstanding personal development icons. This is an extremely rare marketing opportunity for just a few experts who want to forever be associated with some of the most successful leaders in the field of self-help. These few chosen experts will be able to distinguish themselves from all the other experts who are vying for the same paid speaking engagements or consulting gigs." Very few speakers ever get to appear in a film or video - now the fastest growing medium of our time. From VINE'S 5-second clips to YouTube, (which now has more than a billion unique users visiting each month), more than 100 hours of video are uploaded every minute! Mobile devices make up almost 40% of YouTube's global watch time, which means today, people are searching for video more than ever before - whether they are at their desks or on the go. Jay says, "The experts in the film will receive high quality video clips of their segment in the film plus behind the scenes footage as well as unlimited publicity opportunities – from screenings to hosting seminars to sending press releases and posting video updates. This is a marketing goldmine for just a very few experts." The "KEY" films focus on seven keys – or principles – that can help people to live a better, happier, and more successful life. They are: appreciation, harmony, passion, faith, courage, empathy, and vibration. Jay's films are highly creative hybrids that combine fictional characters interacting with experts. "By creating a hybrid," explains Jay, "I am able to engage the viewers on a higher level, which makes for not only a more enjoyable movie than a traditional 'talking head' documentary, but also makes it easier for viewers to comprehend the rich content offered by the experts in the film. I also encourage the experts to share deeply personal stories of transformation rather than the lackluster, trite sound bites that most films in this genre tend to offer. By getting viewers invested in the outcome of relatable fictional characters, the film becomes more compelling – and thereby more empowering. Viewers want to see the characters succeed and overcome their challenges. Experts are able to empower viewers in these outstanding and unique films." 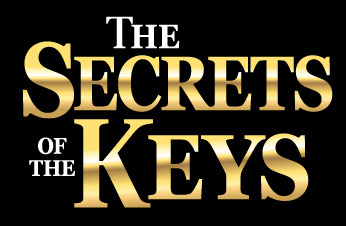 Jay is looking for just a few more top speakers and experts to round out the cast for The Secrets of the Keys. Production is scheduled to begin in summer, 2014 with a release date in early 2015. The experts who appeared in her first film have raved about their experience working with Jay on her first film. Jack Canfield said, "This is the perfect movie for our time; it addresses the challenges we face every day – from the financial crisis to our ability to interact with one another, yet it is also the first FUNNY self-help movie ever. I know you'll love it." And Steve Olsher, "America's Reinvention Expert" wrote, "Since the film's release, I have leveraged my appearance to connect with A-Level industry players, including my co-stars Jack Canfield and Marci Shimoff, booked speaking gigs, and significantly ramped up my media exposure. Robin has poured her heart and soul (and significant funding!) into making the film the success it is. I would gladly work with her again." If you are an expert and would like more details, please email Robin@LVCSB.com for information. For more information, please contact Robin@LVCSB.com. Experts interested in working with the Las Vegas Convention Speakers Bureau and appearining in Robin Jay's newest film should email Robin@RobinJay.com.